We just love when two great brands team up to create an awesome product. That’s exactly the case with this Limited Edition Bunka Style Chef Knife. 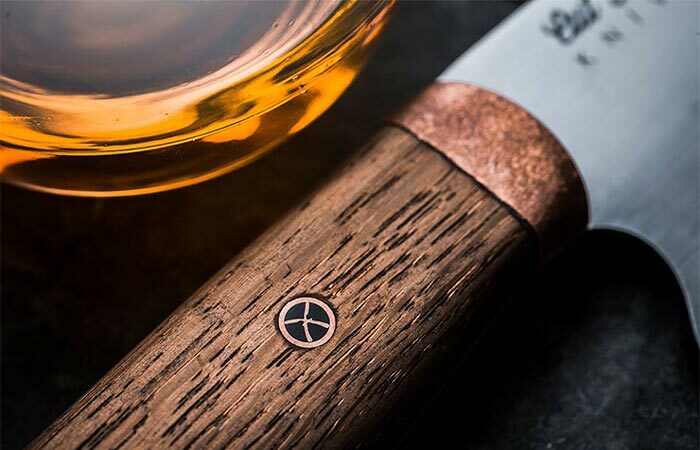 This quality knife is a result of a collaboration between Cut Throat Knives and Starward, an Australian whiskey distillery. The philosophy behind this collaboration was to create a high-quality knife that will incorporate the hard work and passion that both brands have in common. The result is an 8-inch blade handmade using an old Japanese sword-making tradition. This 8-inch carbon steel knife is a limited edition series. The knife uses high carbon steel that ensures you’ll have it for years to come. What’s special about this material is that it stays sharper longer than stainless steel knives. It’s also very easy to sharpen. But what makes this knife so great is more than just the blade. The handle was actually made using staves from Starward whiskey barrels. Because they use matured 100% Australian red wine barrels, the handle looks so vintage and unique. This also means the knife will age nicely. 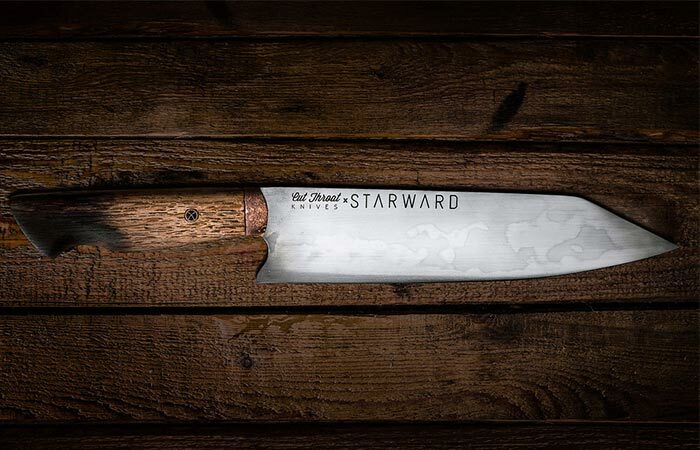 Since this is a limited addition knife, Cut Throat Knives and Starward decided to make just five. That’s right. Also, you can get them just on the 18th of November. The handle was made from old whiskey barrels.